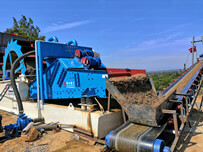 ﻿ Screw sand washing machine can dispose the large amount of sand easily. 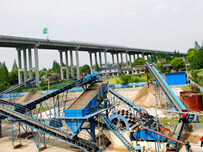 Location: Home » NEWS » Screw sand washing machine can dispose the large amount of sand easily. 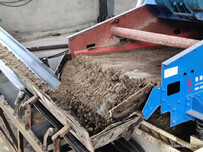 Screw sand washing machine can dispose the large amount of sand easily. 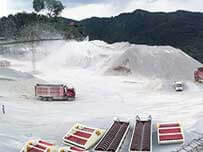 There is a common scene about silica sand washing machine: when the temperature reach zero degrees Celsius or below zero degrees, the silica sand washing machine will be stopped to work. So if you want to stock up on sand to use or sell, you must take time to product sand. And then the screw will be your the best choice. For screw sand washing machine, the biggest features is the larger amount of production. Certainly, the own area of screw sand washing machine is larger than the usual sand washing machine, such as wheel sand washing machine, fine sand washing machine. The screw sand washing machine is more suitable the persons who wants to process large amount sand and large sand plant. Previous：Canadian customers bought a set of dewatering screen device. Next：Why is the different about sand washing machine price?